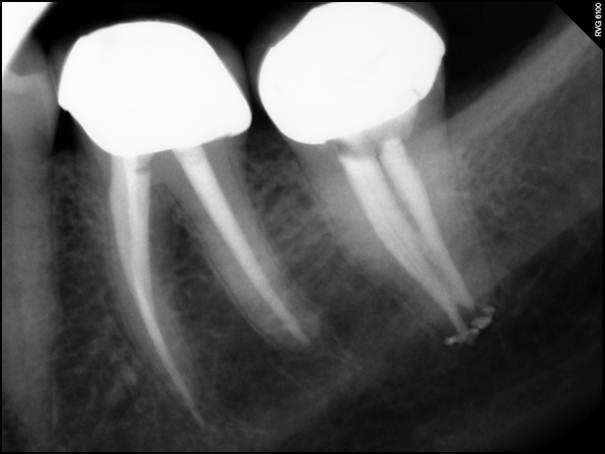 This patient presented for consult on tooth #18; there was sensitivity and mild discomfort / pain that has persisted for the last 3 months. 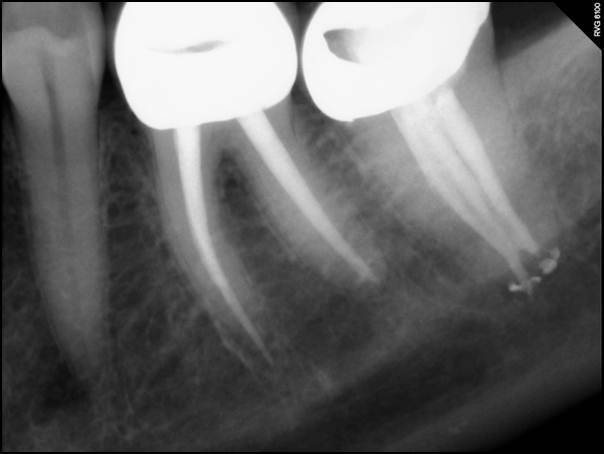 RCT was completed 2 years ago; retreatment 1 year ago to attempt to resolve the symptoms. 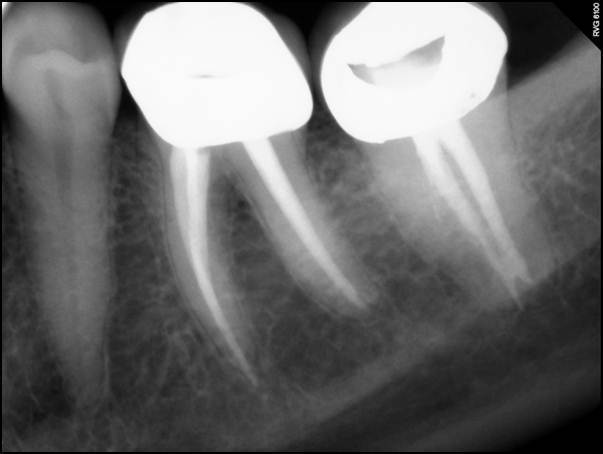 the patient was advised to have tooth extracted as it was probably fractured. 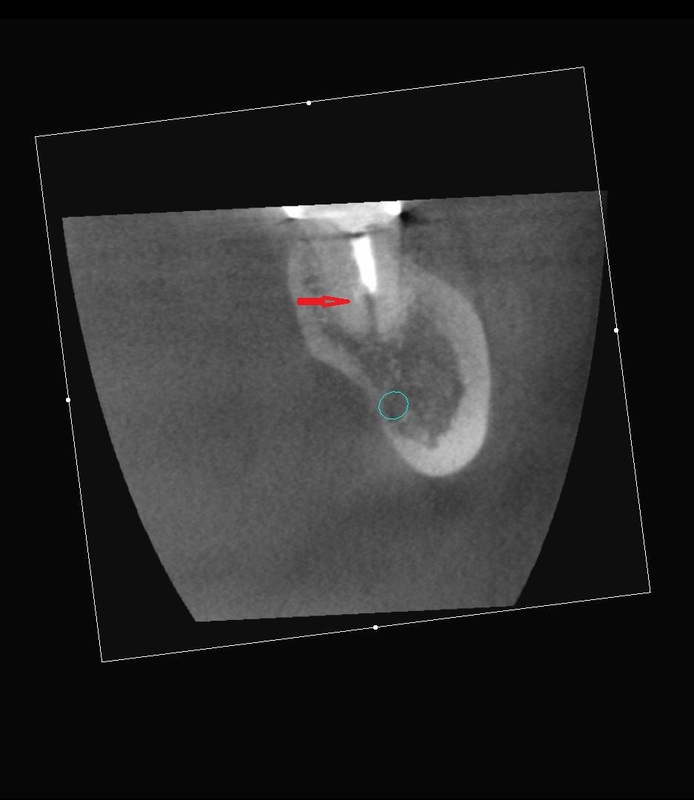 A Cone Beam CT scan was exposed of the area of #18-21. 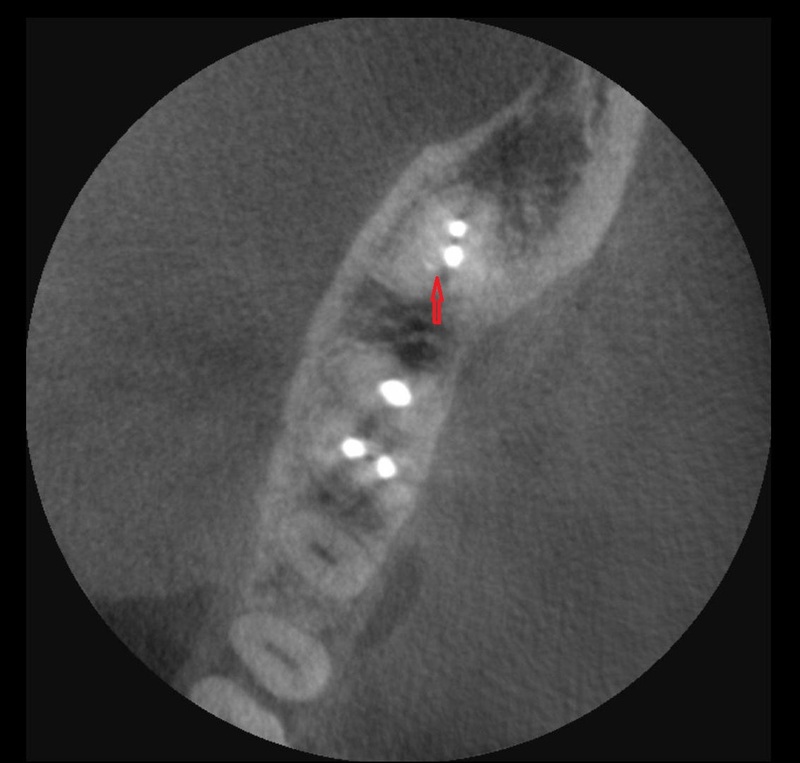 Scrolling through the 75µ slices, a small radio-opaque streak was seen to exit from the mesial canal toward the lingual aspect of that root at the level of the CEJ minus 4 mm (arrow, Scan 1) in the axial view. 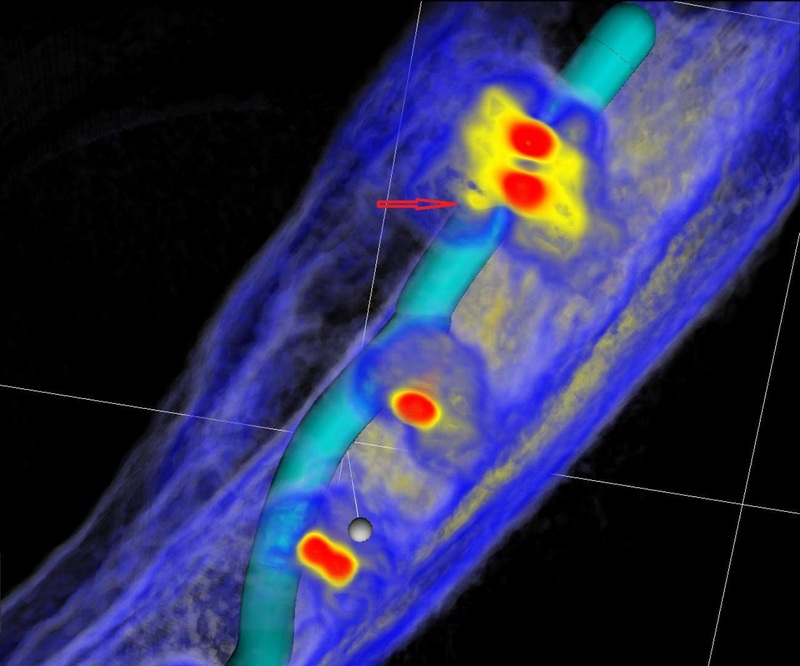 This finding was corroborated by scrolling in the coronal views (arrow, scan 2) and using a special color template in the 3-D sectioning view (arrow, scan 3). 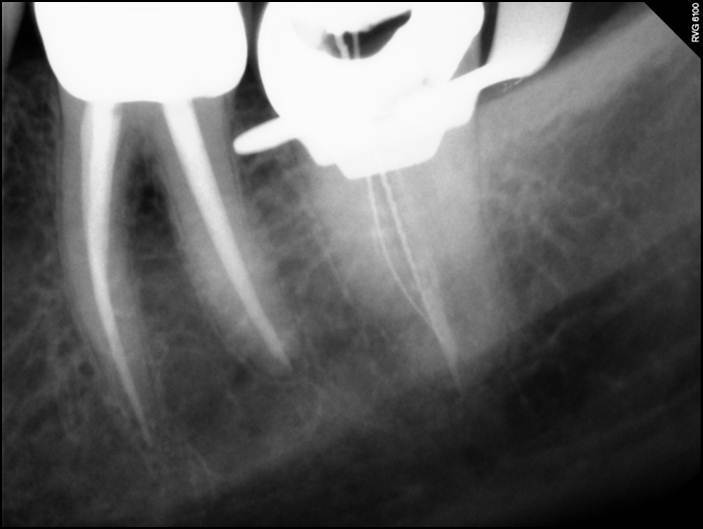 The gutta percha was removed, and the ML canal was located as a bifurcation 5 mm below the floor of the chamber. 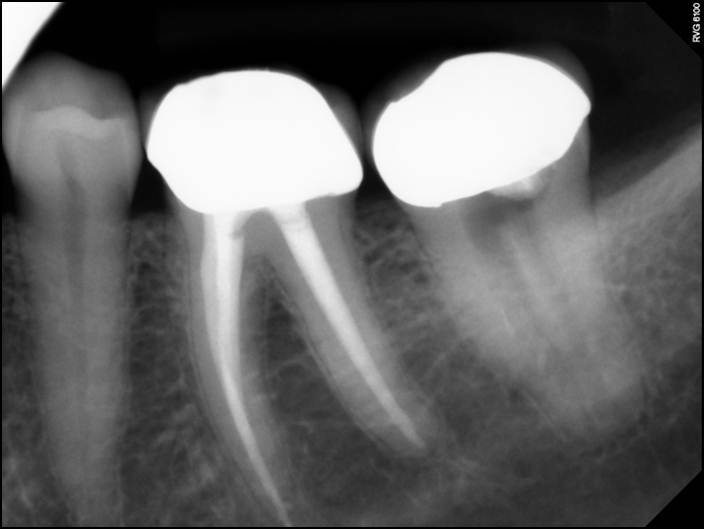 The canals were instrumented, and Ca(OH)2 placed as an intra-canal medicament. 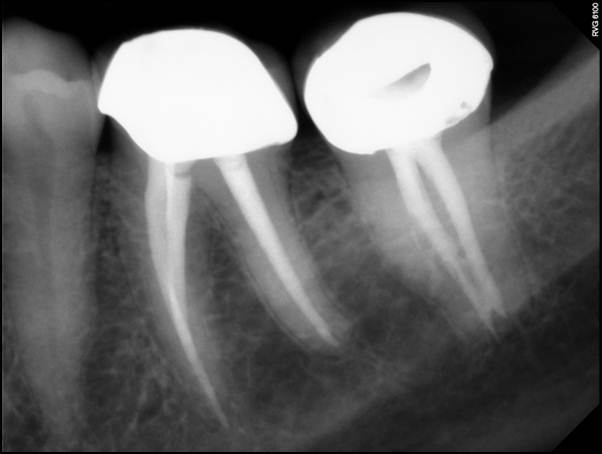 The patient was appointed two weeks later for completion; she was asymptomatic.